Once labeled the world’s most dangerous band, NWA (or Niggaz with Attitude) were the seminal gangsta rap act in the late ’80s and early ’90s. Although banned from mainstream radio, they still managed to sell over 9 million records from 1986 to 1991. Their first record set the tone, but it was 1988’s Straight Outta Compton’s portrayal of the violence of gang life in Los Angeles that broke them wide open. The controversy around the track, “F*ck tha Police,” even generated a direct, personal response from an assistant FBI director to the band’s label, Ruthless Records, and resulted in local police refusing to provide security for NWA shows. Not content with taking on the cops, the establishment and anyone else who got in their way, Eazy-E, Dr. Dre, Ice Cube, MC Ren, and DJ Yella didn’t hesitate to take on each other with equal brutality when NWA started to fall apart. Read on to see how the carnage and the aftermath impacted the careers of each NWA member. Born in Compton, California, Eazy-E allegedly used the money he earned dealing to kick-start Ruthless Records. 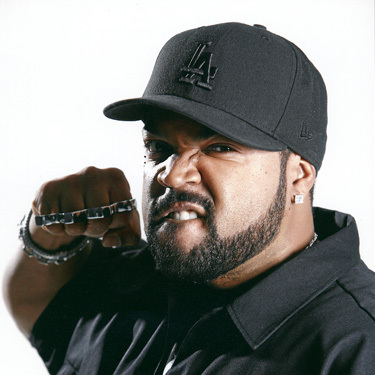 Originally, he intended to be the man behind the bands, but when he found himself behind the mic rapping Ice Cube’s “Boyz-n-the-Hood,” NWA was born. Soon enough, he also found himself at odds with the band for “borrowing” money from them without actually telling them. When the band started to fall apart the feud grew ever more bitter, Eazy, Ice Cube and Dre traded insults, threats and innuendo on record, taking increasingly brutal pot shots at each other. What he did after NWA: Though his first solo record, 1988’s Eazy-Duz-It, went two-times platinum, Eazy’s solo career was short-lived. He died of AIDS in March 1995, but his legacy is lasting: Two of his posthumous solo records released in 1995 did very well, and Eazy has been honored in numerous songs and performances by fellow artists, as well as in a documentary by his son. 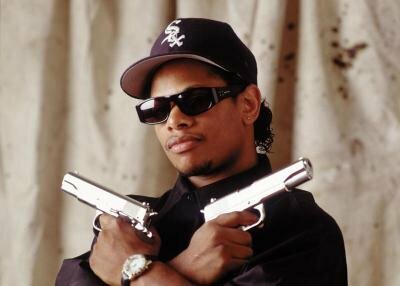 Compton, California, also commemorates the rapper on Eazy-E Day, which is celebrated annually on April 7th. Bet you didn’t know: Eazy-E is the inspiration for the character of Lance Ryder Wilson, from Grand Theft Auto: San Andreas. Born in Compton, California, MC Ren was alternately known as The Ruthless Villain and The Villain in Black. Contributing vocals to Straight Outta Compton, Ren joined NWA right out of high school. When Ice Cube left, Ren found himself playing a bigger role within the group, and hung on until the bitter end when NWA disbanded in 1991. What he did after NWA: Ren stuck with Eazy after the split and released his first solo record in 1992, Kizz My Black Azz. With little in the way of promotion or radio, the debut went platinum — a true testament to Ren’s underrated skills on the mic. He made a stab at film production with the straight-to-DVD Lost in the Game (2004), and worked on a second record, Shock of the Hour (1993). Two more records followed, but none were as successful as the first. Still Ren is highly respected by other rappers and has appeared on a variety of records by other artists, like Ice Cube, The D.O.C, Snoop Dogg, Cypress Hill, and others. 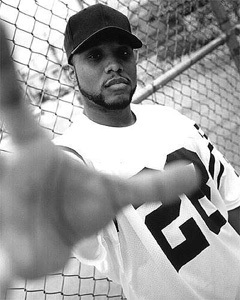 What he’s doing now: MC Ren is said to have retired, but he appeared on Public Enemy’s Rebirth of a Nation in 2006, and is rumored to be recording with a new group called Concrete Criminals. Bet you didn’t know: Ren wears a half-moon ring on his right hand to symbolize the changes he’s made in his life.